#1 Must is SUNSCREEN all the times!!!! Brandy recently became an Arbonne Independent Consultant. She highly recommends these opportunities for people looking for extra income. She loves that it easily fits into being a horse person and this type of job can be as big or little as you need it to be. I was courted in Network Marketing for many years and always ran, SPRINTED in fact, away from the opportunity. I vaguely understood the concept and certainly respected the people that wanted me to join their businesses, but I knew it wasn’t for me. I watched their wonderfully happy lives revolve around making huge businesses and serious financial freedom, but I didn’t get out of my own way until the spring of 2012. Most of my adult life has been spent breeding and importing horses from Ireland. My family built a substantial business out of a life long passion for horses. At one point our farm was the largest and most successful breeding operation for Irish Draught horses in all of North America. Business was great. However, like so many others, the industry was being affected by the change in the global economic climate. In 2006 the business started downsizing and I went back to a previous career as a retail buyer for a local boutique. In the fall of 2011, I hit a professional ceiling and was looking for a serious career change. I left the boutique industry I adored for over 15 years and subsequently got certified to teach and opened a Pilates studio. Health and wellness has always been a factor in my life, particularly as my husband and I started family planning. However, I was concerned more about fitness and non-GMO food without ever considering what I was putting on my skin! As a self-proclaimed product junkie, I have used IT ALL. No matter the cost, no matter the promise. Previously, if it cost me $300 for .5oz of voodoo eye cream to magically rid me of a wrinkle or two, I was SOLD. All it took was literally 3 days with the Arbonne RE9 line for me to see a difference in my skin, and make the decision to change my life. It was finally time for me to join Arbonne. So, I did my business order, scheduled my launch, signed a few people and headed to GTC all in 5 days! I finished DM in ten days and there has been no stopping the momentum. It is possible for financial freedom and all the time you want to enjoy it. With Arbonne, I am feeding my inner entrepreneur, creating a huge income working for myself, look younger and feel better, promoting a much healthier lifestyle to those around me and am really enjoying the ride. Brandy also discovered Pilates. As a serious horsewoman, she was experiencing back problems and friends suggested Pilates to strengthen and stretch her core to support her back and improve conditions. In 2007, she became a student of Pilates. Soon after, she started teaching classes, her practice has changed every aspect of her life. In 2011 she evolved her practice from being a student to teacher in an effort to spread the joy that Pilates has brought her. 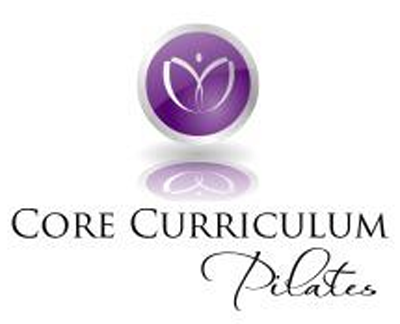 She has been certified by Power Pilates and is now available to teach you in the comfort of your own home or in her private studio in Bluemont, Virginia. Enjoy life and live healthy! If you are interested in taking better care of your skin or improving your core and flexibility- Brandy offers support at all levels to improve your lifestyle and enjoy every part! Please feel free to get in contact with her. Both pictures above will link you directly to her sites. Next Post Most Equestrianista's have a sidekick- Meet Dixie! 100 Days till Summer, 100 Days to work out!